1x Entry: Automatic entry with minimum spend of RM100 in a single receipt. 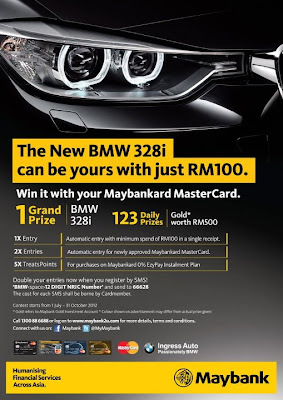 2x Entries: Automatic entry for newly approved Maybankard MasterCard. 5x TreatsPoints: For purchases on Maybankard 0% EzyPay Instalment Plan.